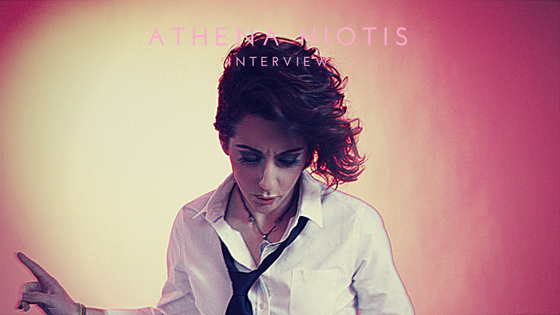 Athena Hiotis and Nina Themelis have been friends since childhood and always dreamt of creating art together. It was when Athena showed Nina her latest song, “Unbreakable”, that they knew this was their moment to collaborate. “Unbreakable” originally came about for an indie film and when revisited a year later, the two women brainstormed how they wanted the video to look. It started with a group of friends, expanded to a callout that brought people from all over the East Coast and ended with people from outside of the country. Hiotis is a strong advocate in the theme behind “Unbreakable: Our Story”. With this theme, she doesn’t plan on stopping as far as spreading the message of empowerment. She may not be at the front lines of the fight for normalization, with abrasive terminology that stirs up controversy, but she is still demanding normalization through her own approach. It’s a touchy subject, but a subject that she isn’t afraid to stand up for.